Closeout. 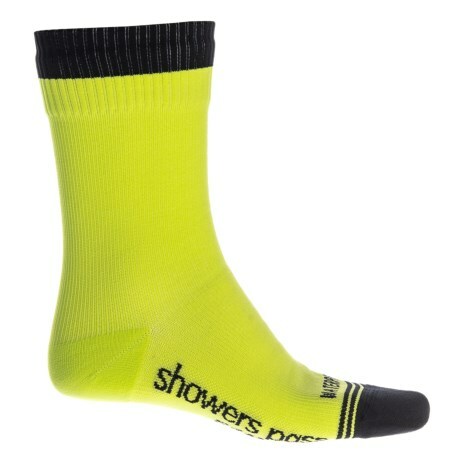 These Showers Pass Crosspoint Hi-Viz socks are made from a stretchy performance fabric blend that provides waterproof comfort for all kinds of outdoor activities. Available Colors: NEON YELLOW. Sizes: S/M, M/L, L/XL, 2XL.